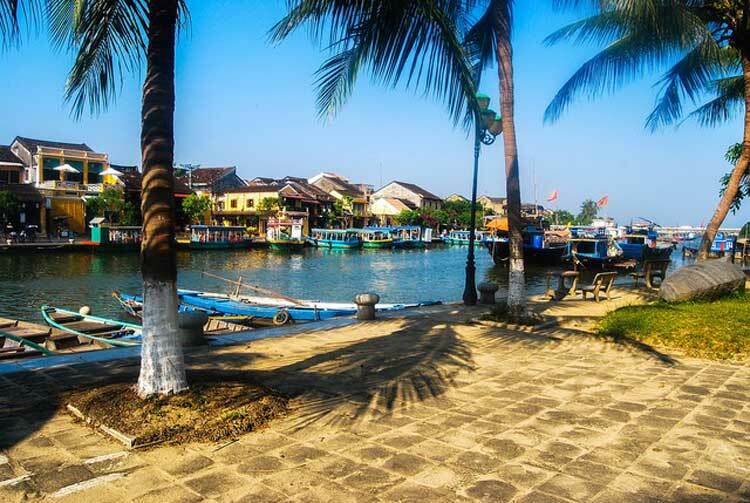 Hoi An’s population of about 120,000 makes it barely large enough to be considered a city. It’s anything but sleepy, though; in fact it’s one of the most popular destinations in all of Vietnam. The Ancient Town was once a thriving port of call, where merchants from China, Japan and Europe came to trade everything from delicate glass to heavy weaponry, while warehouses stacked full of silk, sugar, pepper, tea, porcelain, mother-of-pearl and lead were stored awaiting export. When the Thu Bon River that runs through town became too shallow to navigate in the early 1800s, Hoi An became a forgotten backwater. It wasn’t until 1999, when the remarkably well-preserved Chinese and Japanese architecture caught the attention of preservationists at UNESCO, that Hoi An was rediscovered. Since that time, Hoi An has grown into one of Vietnam’s most prosperous cities, with a dynamic tourist-driven economy. People come here not only to explore over 800 ancient Chinese-style shophouses, temples and pagodas, but to relax on some of the prettiest beaches in Southeast Asia. Wandering around the ancient streets in the Ancient Town is good at any time of day or night—several streets are designated pedestrian only—but the Ancient Town shines on the night of the full moon when the electric lights are turned off and lanterns illuminate the streets. Glowing candles are placed in colourful paper lanterns that float through the centre of town on the gentle currents of the Thu Bon River as it makes its way to the sea. The expat community has grown from less than 50 to nearly 1,000 over the past decade. 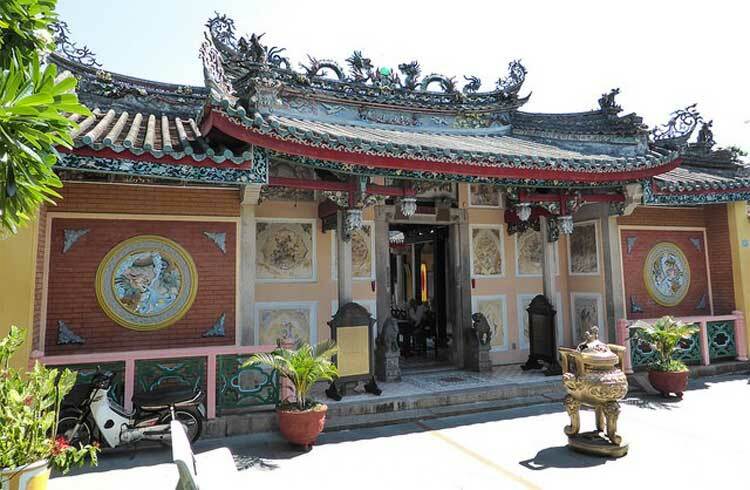 Many expats have moved here with their families, which makes Hoi An unusual among Southeast Asian cities. Part of the reason for this is its location; it’s not a suburb of Da Nang, but all the extra amenities available in the big city are just a 40-minute drive away. Rich in history and natural beauty, it’s a convivial, welcoming, laidback community. As pretty as the Ancient Town is to look at, it isn’t the best place to live, as it’s susceptible to flooding during the wet season, which peaks between September and November. Many expats choose to live in Cam Chau District, which is located east of the historic district between the Thu Bon River and the South China Sea. This part of town is higher in elevation that the surrounding area, so flooding isn’t an issue. Cam An and Cua Dai Districts are also relatively safe from flooding and both are right along the beach. An Bang Beach, which is only five kilometres north of central Hoi An, is another option for quiet, semi-rural living. The only properties that foreigners can purchase in Hoi An are in New Hoi An City, a new development outside of Hoi An just north of An Bang Beach. One-bedroom apartments there start at $157,000 and villas with full ocean views are currently under construction. Aside from taxis, Hoi An doesn’t offer much for public transportation, though there are buses that go from there to Da Nang throughout the day. Taxis tend to be easy to find and the fares are reasonable. Hoi An roads are perfect for cycling and the town is small enough that it’s a good way to get around. Most long-term expats eventually buy a small motorbike or rent one for around $65 per month. Hoi An’s increasing fame as a major tourist destination has brought the town many of the goods and services that expats want. There are scores of excellent restaurants, imported food shops, an international school, lively markets and great shopping, especially for clothing. Hoi An is famous primarily for its historic architecture, but it’s almost as well known for the proliferation of tailors and shoemakers who have shops in the city. If you shop wisely, it’s a great place to have inexpensive suits, silks and sandals custom-made—often within 24 hours of placing your order. Hoi An is also noted for its many luxurious spas, as well as for being just 20 minutes away from two of Vietnam’s best golf courses, Montgomerie Links and the Danang Golf Club. Da Nang, the largest city on Vietnam’s central coast, is less than an hours’ drive north of Hoi An. This is where the region’s best hospitals, the train station, an international airport and several large supermarkets and shopping centres are located. Hoi An may be a rapidly growing town, but there are plenty of opportunities to get away from it all. The moment you leave the city, you’re surrounded by brilliant green rice paddies. The countryside is tranquil and easily accessible. Heading west, you’ll soon be on deserted roads, passing by lazy streams, waterfalls and charming villages as you enter the mountains of the Central Highlands. The beautiful beaches of the South China Sea form the eastern boundary of Hoi An. Cua Dai is the closest beach, just a 15-minute bicycle ride from the city centre. It can get busy at times and those in-the-know often prefer to head north to An Bang Beach. An Bang is usually uncrowded and has some well-regarded ocean-view seafood restaurants. The ocean is calmest from May to July. From mid-September to December, the waves are sometimes big enough for surfing. 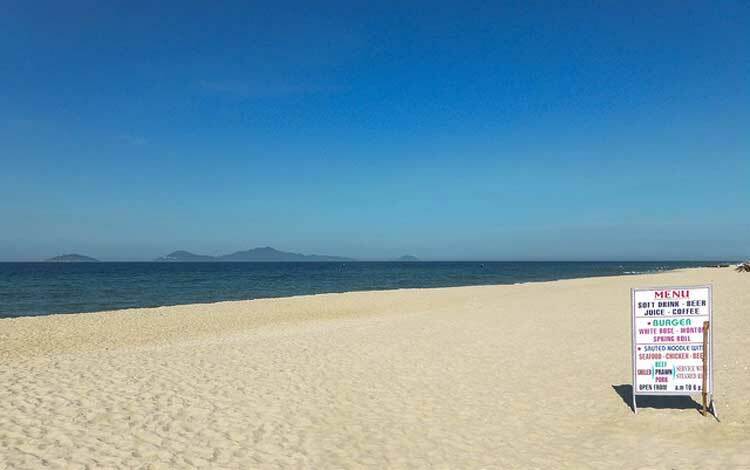 The Cham Islands, a UNESCO Global Biosphere Reserve 21 kilometres northeast of Hoi An, welcome visitors who come for the exceptional snorkelling and diving and to enjoy the small fishing villages, remote, unspoiled beaches and lush forests. Even though Hoi An has a thriving tourist-based economy, the trick to living cheaply is to live like a local rather than a tourist. Two people can live a comfortable, middle-class lifestyle here for well under $1,200 per month. That includes house rental, all utilities, a weekly housekeeper, eating out at least once a day, incidental expenses, and all the time at the beach that you could possibly desire. Is Ho Chi Minh City a Safe Place to Live? My wife Christie and I knew a couple of things about retirement. One was that we didn’t want a run-of-the mill, rocking-chair affair. We wanted excitement, adventure, to meet new people, to keep learning and to have heaps of fun. And, with all that in store, we knew we didn’t want to wait to enjoy it. Is This The Most Romantic Place in The World? Read more: Is This The Most Romantic Place in The World? Hoi An is just 30 minutes south of Da Nang. This small city is home to about 300 expats, including many Australians. Hoi An is full of businesses that cater to the large number of international visitors who come to see its historic communal halls, temples and residences—preserved for centuries following the 16th and 17th century settlement of Chinese, Japanese and European traders. 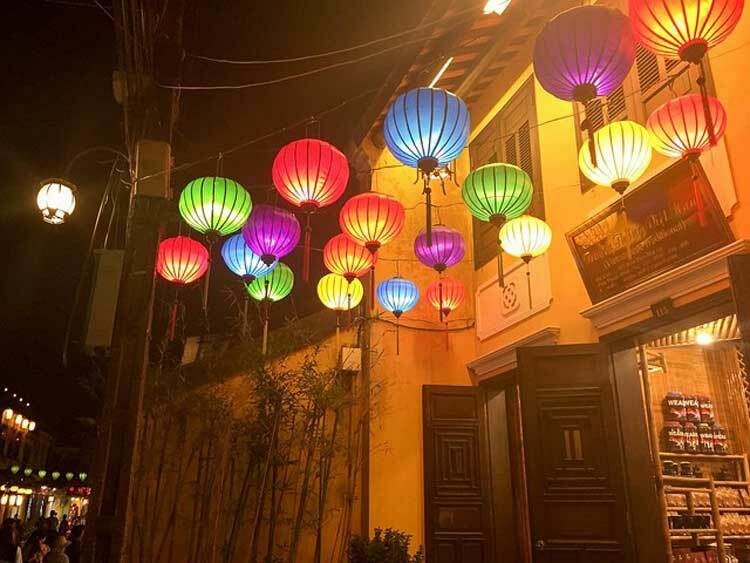 When visiting Hoi An, Vietnam, there are some obvious must sees and do’s. You must visit some of the old cultural sites in the UNESCO World Heritage Ancient Town and you must have couture clothing and shoes made for a fraction of the price it would cost you to buy them back home.